Century-Old Decisions That Impact Children Every Day #MakerEducation « Adafruit Industries – Makers, hackers, artists, designers and engineers! NPR Ed has a great piece on Alexandra Lange’s new book on how design decisions impact education. 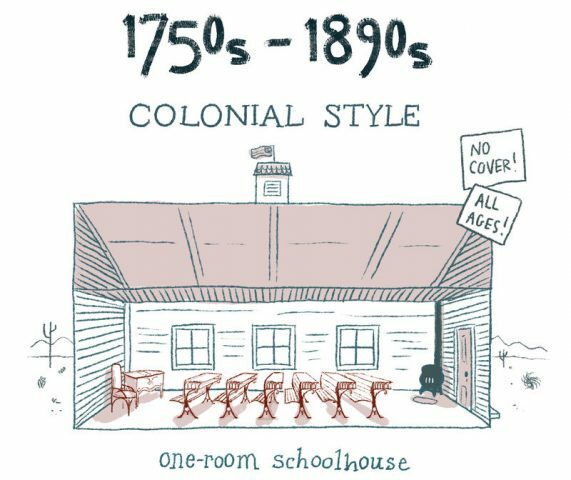 Alexandra Lange’s interest in school design started in her childhood, when she read Little House on the Prairie, with its indelible depiction of Laura’s one-room schoolhouse in Wisconsin. Today, she’s an architecture and design critic. Her new book, The Design of Childhood, considers the physical spaces where our children learn and grow: from the living room rug crowded with toys, to the streets, welcoming or dangerous, to classrooms, bright and new or dilapidated. Read more here and buy The Design of Childhood here.